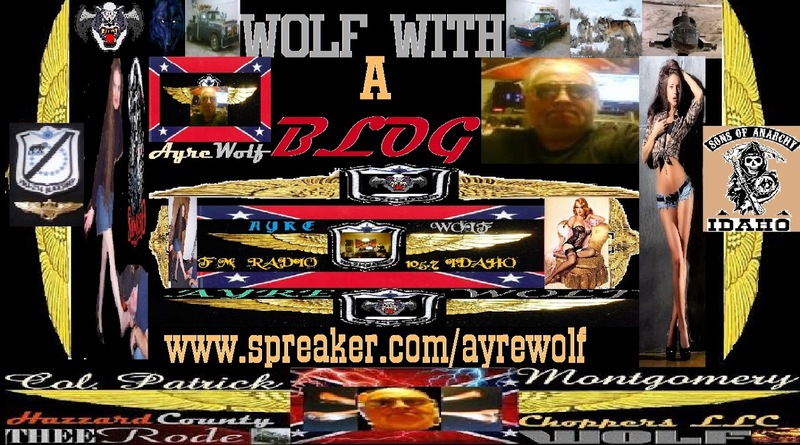 Wolf With a Blog: Did we already loose our new, new hire and is anybody doing LIVE radio anymore for truckers? 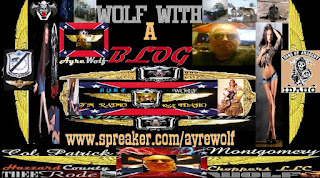 Did we already loose our new, new hire and is anybody doing LIVE radio anymore for truckers? Did we already loose Raine? Yesterday, I must have spent most of my putting things in line to help her launch a show here at HazzardAyre as well as getting up long before I used to. Now granted I can be somewhat smothering in the point being to educate a new hire to what the organization as well as the background on the radio gig, and all its parts, so perhaps I overloaded a bit. Thing is this reignition of what we do here and have done since 1973 of keeping most of ya'll southern long haul truckers company overnight hauling those heavy loads up and down the roads, as such if she or a he is going to go on one of our channels and all, it had and they had better be all that we expect them to be or out the door they go. This thing I do in recruiting ladies to be co anchors and eventually helping them to launch a show on their own, is not one of making hay with some gal in a sweaty studio. It's to combine both my talent and thought patterns with a lady's thought pattern , in hopes she just might inspire people out there in getting into long haul trucking, taking pride in their southern (if they have them) ancestors as well as honoring the military aviators of which many of both the Knytes and especially the AyreWolvez are. I don't hire just anyone and I seldom let just anyone invade both my homestead or my home studio. Yes I was looking at another lair to house the radio operation and all, here in Wendell, but more and more, Buhl is becoming a slightly larger and brighter light. The reason I still do this gig is simple. LIVE over the road trucker radio kind of faded from AM & FM radios to Sirius/XM, years ago, but I remember too, those nights slamming gears both trucking and toewing, tuned into the Road Gang, or Bill Mack's Midnight Cowboy Trucker Shows. They were LIVE up to a point. Many would go into a studio, do 3 or so hours of a show, and then they'd record those same 3 hours and rerun them for the last 3 hours. If there was a traffic or road alert, bad trucking weather or some such too bad out west here, by the time you could get a LIVE call in to the feed or main station whatever was being warned about had already happened. The next reason I restarted doing this was being trapped in a long nosed Peterbilt bull wagon, parked at an LDS Church parking lot in eastern Idaho one night into early morning. We'd been transporting fat bulls from Montana back here to the Tragic Valley here. Deep snow, broken truck, when I heard the sweet vocals and organ of the Mormon Tabernacle Choir, as KSL was rerunning conference from the day before. I through that renewed my life and feelings at the time, and thought, my if I could only do what all this is out west here. So in 1980 Dixie Diesel Trucker Radio first launched out here near Hazzard(Hagerman) Idaho. The rest of the story ya'll pretty much know. Just before I was able to take an ear gander of Howard Stern and Robin Quivers gig, I was already doing a thing with a gal named Robin out of Rupert Idaho. I thought as I heard Howard's show there is something to have a male/female combo on air in the studio. Ever since 1994 or so, Dixie Diesel Trucker Radio became the absolute over the air trucker show on radio. With 5 CMA's(Country Music Awards) 2 Emmy's, and other awards we made what we do, by being real, we are haulers, road techs,and pilots, not just somebody going into a studio and posing or fronting. Therefore because of that if someone new is going to go on air with me she had better be real as well, just as Nurse GoodBody, Emme Lee, and all that have came before. More this afternoon, supposedly, our Raine is coming in to do a second seat run at 09:00 so I need to snag some sack time, but thing is, its crunch time. But can you hit the right hole please?